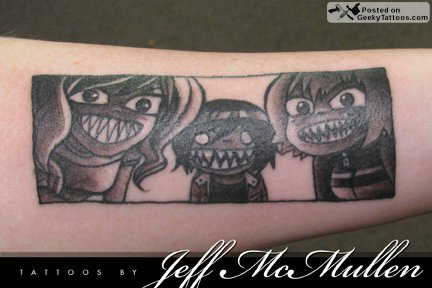 Amy sent in her Lost tattoo last year, but now she’s also got a Scott Pilgrim tattoo to add to her geeky collection. Tagged with Jeff McMullen, Scott Pilgrim. There can be only one word for this tattoo; "COOL" !!!!!!!!! !